Do you ever have days, or even weeks, when writing seems a chore? The passion and enjoyment you usually experience went south? You spend more time online “researching” than writing just one decent sentence? My muse must have found something better to do the last few weeks than inspire, encourage, and prod me. I’m not sure, but I think she went to Spain for a vacation. Something had to give, so I loosened my purse strings and attended the Write on the Sound Writer’s Conference in the picturesque, waterside community of Edmonds, Washington. Despite signing up early, several workshops that interested me were already closed. I almost didn’t register, but I told myself to be open-minded. As it turned out, I came away with valuable information from every workshop and a fresh attitude toward my writing. Stay off the internet. Okay, that’s not always practical or possible, but I realized how easy it was to close the document I was working on and rush to Google for a bit of research. Now, I make a list of things I need to look up and do it in one fell swoop at the end of my writing day rather than interrupt the flow. Self-promotion is overrated. I scoffed when I heard this, but the presenter went on to explain how important it was to target specific audiences rather than used the scattershot approach. In other words, promote wisely. Don’t write for free. That was another tidbit I scoffed at. True, the publishing world has changed and we often write for free when we blog. But, it got me to thinking about the freelancing I used to do and the money it brought in. So, I dusted off my Writer’s Market and set a goal to get back to freelancing. Simultaneous submissions are okay. That was a relief to hear, but to be sure, I checked out the current issue of Writer’s Market and learned that most publishers do accept simultaneous submissions. It’s about time. After all, we don’t have five hundred years to live. Don’t set the bar too low, or your writing won’t improve. This is most important. When I was teaching, we had a saying: “If you think you’ve learned everything you need to know about this profession, then it’s probably time for you to retire.” I realized that I’d become complacent about my writing. I decided to try my hand at the new mystery I’d been pondering for a few years. It’s a serious story about a PI suffering from Post Traumatic Stress Syndrome. I’m used to writing light, humorous stories. This was a real stretch. I started off writing it in first person, and as a challenge, I switched to third person. I now have close to 15,000 words and my motivation level is off the charts. My muse is back from vacation, too. She even brought me a gift—a new motto: “Just Keep Going.” Now I’m writing several hours a day. It feels good. I’m happy. Case closed. Since this week is a busy one, I thought I'd just offer a word to the wise for those who are self-publishing on Amazon. If you need to update your book, if you can, convert it first for your own kindle by using the Amazon convert feature, after saving the book by using a similar, but not the same name as the real title. When it appears on your kindle, read it over and make sure it's how you want it to be. Do this up to the very, very end. Also, if you're on the KDP Select program at Amazon, when you do have a freebie promotion, make sure to give yourself a free copy as well. If you don't do freebie promotions, it's a good idea to buy a copy of your book, so you'll see what others are getting. In the manage you kindle section at Amazon, click for an automatic update. Then, after your update is done, see if the book automatically appears updated. If not, remove the old version from your kindle, and then have the new version delivered to your kindle from the Cloud. Why am I mentioning this? Well, for some reason, both on my convert version and on the real version, when I tried to go to the next page when there were only a few sentences left in the About the Author section at the very end, I got an error message telling me to remove the book and get it again from the Cloud. I did that, but it didn't work. Well, after over 3 days, and with the help with the KDP people at Amazon, the error message finally went away. That was yesterday. Today, it was back. So, this morning, I changed things around at the end of my book, and re-sent it to convert. It looked okay, so now I'm downloading it again to Amazon, and am awaiting the results. Will it be right this time? One never knows what kind of strange things might happen, so we need to be on guard, and do our best to get a quality product out to our readers. A fellow prehistory fiction writer has put together a mystery for us. Not a prehistory mystery, but an intriguing one. 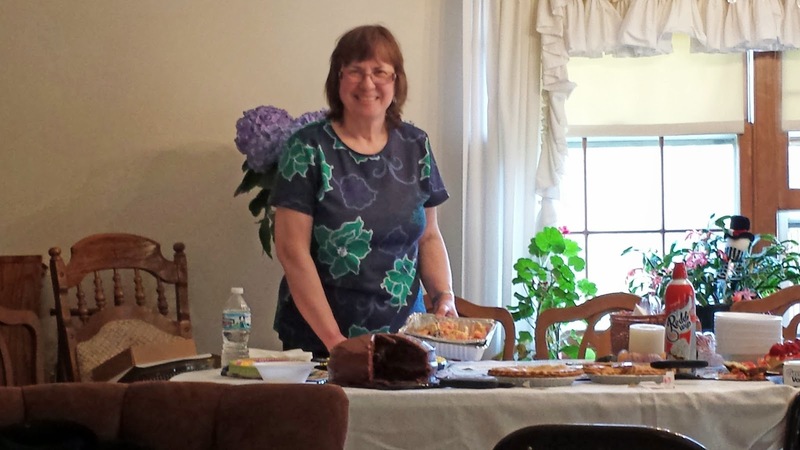 Please help me welcome Mary Black to the blog. For info on her awesome fiction, please see below. My family used to spend Thanksgiving at my grandmother’s house out in the cotton fields near Lubbock, Texas, when I was a child. It was a six or eight-hour drive for my mother, with three kids packed in the back seat. The night before she would always make fried chicken and butter and lettuce sandwiches on soft white bread for our lunch. We loved those lunches! We knew we were almost there when we passed the Four Sixes Ranch. Sometimes we would even see a real cowboy riding a horse. The closer we got to my grandmother’s, the more newly-plucked cotton fields we would see, with white cotton blowing along the road like snowdrifts. Hundreds (or maybe tens) of cotton trailers would be parked around the old metal gins, waiting their turn to be processed. When we arrived, we jumped out and squealed to meet our cousins, our favorite people in the world. Soon my older cousin and I would be playing paper dolls or trying on our grandmother’s jewelry, a wonderful secret thing we loved to do. The grown-ups gathered in the kitchen for coffee and were soon down to serious conversation about farm production and politics. On Thanksgiving Day I loved to set the table. Beautiful china on a worn, white damask cloth. I thought I was chosen especially for this task because I was so responsible. It made me feel grown-up. Meanwhile my little brother and our boy cousin were running through the house shooting plastic guns at each other, having a great time re-enacting their favorite TV shows. If there was enough room, we kids could sit at the big table, but otherwise, we had our own table off to the side. That’s what usually happened. We always had turkey and plenty of giblet gravy, cornbread dressing, home-grown green beans, and pumpkin pie with Cool Whip. And Mrs. Baird’s store-bought white rolls. Delicious! But the best part came at night, hours after the big mid-day meal. That’s when we would wander into the kitchen one by one, and make ourselves great turkey sandwiches, complete with dressing and cranberry sauce. And gravy, lots of gravy. Yum! Those sandwiches seemed somehow luxurious to me. All was well as the elders played dominoes and we kids enjoyed our own luscious diversions. Until the middle of the night. That’s when the puking would start, usually with the kids. Often two or three of us were throwing up all night and into the next day. I remember lying on the sofa, feeling helpless, while my grandmother urged me to drink some Seven-Up. I had just thrown up and I didn’t want anything in my stomach ever again. But I would drink it at her urging, and then barf again just to prove I was right. This “food poisoning,” as my grandmother called it happened year after year. Why were the kids always sick at Thanksgiving? Well, they caught something at school, one grown-up would say. Or she’s run-down said another. Too much candy someone would always add. Just “food poisoning” my grandmother would say. There were two kinds of poisoning when I was growing up: food poisoning and blood poisoning. I never have figured out what blood poisoning is. But about thirty years later it hit me that food poisoning was what we call today “food-borne illness,” caused by a number of different bacteria. It was those wonderful evening sandwiches we’d made. Where did we find all that food when we went into the kitchen at night? Sitting on top of the stove of course. There wasn’t room in the refrigerator for all those left-overs, and I’m not sure High Plains women of my grandmother’s generation would have even thought to refrigerate cooked food anyway. So all that turkey and home-made gravy sat on the stove, reaching the perfect temperature for the nasty bacteria Clostirdium perfringens to flourish. And flourish it did, right in our digestive tracts. It’s commonly found in meat and gravies that haven’t been kept hot enough after cooking, or left out too long. Symptoms usually appear with 8-16 hours. Yep, that was us! May you all have a wonderful—and food safe—Thanksgiving holiday! ***Mary has taken an area in Texas and made it her own. She fell in love with the Lower Pecos more than twenty years ago. Since then she has studied the archaeology and related ethnography of the area with numerous scholars. She has an Ed.D. from Harvard University in Human Development and Psychology and lives in Austin with her husband, and archaeologist, and two cats. Please check out her fiction at http://marysblack.com/! Many years ago I was living in an apartment on the east side of town. I had been typing (yes, it was that long ago!) a manuscript and the ribbon I had been hoping to nurse along for another day or two simply gave up the ghost. The impressions on the paper were so faint they were almost invisible. I had already tried refreshing the ribbon with glycerin, which had worked fairly well for a while, but there simply wasn’t enough ink left to refresh. Giving up, I jumped in the car and ran to the nearest drugstore. This was an independent store that carried a little bit of everything and, as it was fairly late at night, I was so grateful they carried a selection of typewriter ribbons. Next to the ribbon display was a basket full of thin, 3x3 square yellow pads wrapped in cello. I’d never seen anything like them. Obviously they were scratch paper, but the pads could not have been over 10-15 sheets thick. They were called Post-Its. The price was ten cents. I’ve always liked strange things, so I picked up a couple of pads and went to pay. Over the years I shopped there the store owner had become sort of a friend, so I asked her about these new things. She sniffed disdainfully and said something about them being a market test of the newest thing from 3M, but she was sure they’d made a very expensive marketing mistake. Who would buy a note with sticky stuff on the back? Truth to be told, I kind of had to agree with her. I had a corkboard beside my typewriter, and a small chalkboard, and a roll of tape with which I could hang notes from other surfaces. Besides, who would pay good money for scratch paper? I had grown up in my parents’ office, and as far as we were concerned, scratch paper was the inside of the envelopes that came in the mail. Matter of fact, one of my very first jobs (I think I was seven or eight) was to take the discarded envelopes, cut them to roughly the same size and stack the resultant slips in a shoebox in the supply closet. Then whoever needed scratch paper could come in and grab some. Recycling did not begin in the ‘80s or the 90s in our family! Fast forward to today. That wonderful old store has been closed for at least a quarter of a century, typewriters and their ribbons are almost antique artifacts, and sticky notes – now brought out by a myriad of companies under various names – are ubiquitous. From a lukewarm first usage I have come to love them to an almost fanatical degree. I have different colors for different things. Different sizes for different usages. On some days there are so many sticky notes covering my desk it resembles some sort of rainbow-scaled sea creature. Sticky notes are nice, convenient and have myriads of uses, but they aren’t the end-all or be-all. As with most modern luxuries we could live very well without them, however much we might protest. Cork boards and chalkboards and cut-up envelopes still work, but they are nowhere near as colorful – nor as fun. I'm a bit over halfway though this month long blog tour for my latest Deputy Tempe Crabtree mystery, River Spirits. Right off the bat I had a problem. The person who had agreed to do the first stop on the tour must've forgot and/or what I sent got lost in cyber space. So my tour started a day late with two stops. I had two or three I had to query because the post weren't up on the slotted day. Some don't put blog posts up ahead of time. Other needed to be reminded--though right before the tour I sent out a reminder to each one. Interestingly, some blogs draw far more commenters than others. I have as yet to figure out why in most cases--though there are some very popular blogs out there that get lots of hits and comments. I've advertised each day the same--so don't think that's really had much influence at all. What I do think makes a difference is the topic of the post. Some topics seem to draw people to comment. I've had many, many unique commenters who have only commented on a few blogs-- and many who only commented on one. What does this mean? I have no idea. It seems that I am having some increase in sales for the Kindle version of the book. Here is the remainder of stop I"m making on the tour. Where Do the Minor Characters Come From? How Real are my Main Characters? 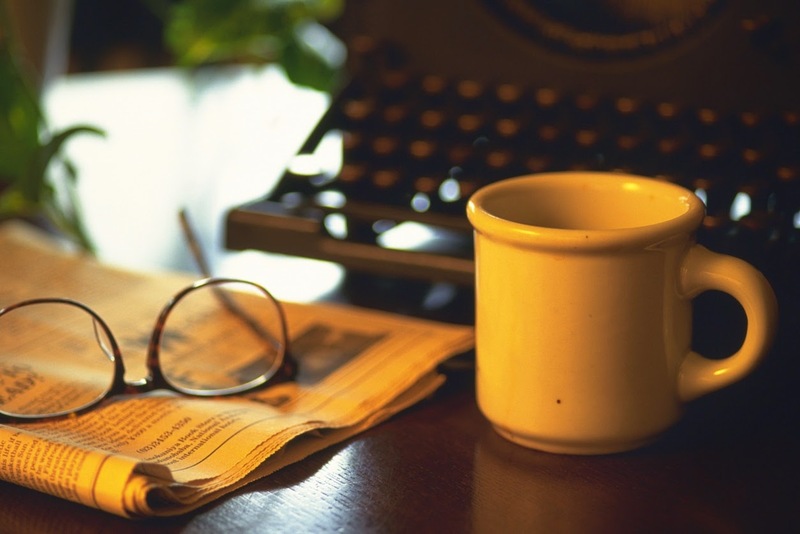 What Makes a Mystery Writer, particular way of look at things? Looking for Clues? Why? Writing Obsession. As you read this, I'm at the day job, my last day for a while. I'm having surgery tomorrow, so if I don't post a response to your comment, give me a few days... I'll be back, better than ever. "We can make you faster, stronger..."
The sale job on the Bionic Woman had the wrong focus. It was fine for Steve Majors, but the female side needs better promises. They should have said, "We can make you taller, skinnier, funnier..."
Anyway, on to the good news... IF THE SHOE KILLS released November 10th (insert Kermit flail here...) (No, seriously, I don't have the gif, so if you do, post our green friend into the comments. The tourist town of South Cove, California, is a lovely place to spend the holidays. 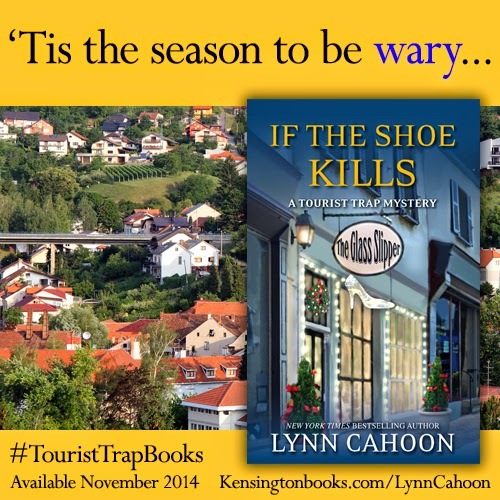 But this year, shop owner Jill Gardner discovers there’s no place like home for homicide. 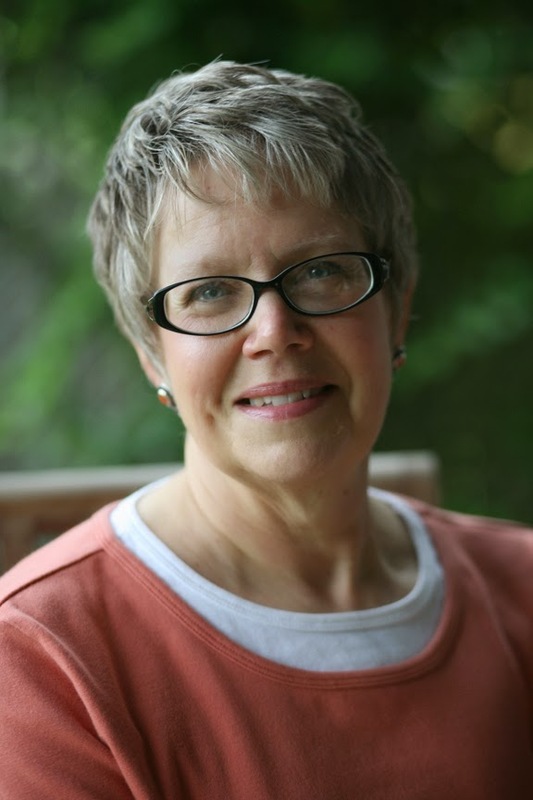 . .
As owner of Coffee, Books, and More, Jill Gardner looks forward to the hustle and bustle of holiday shoppers. But when the mayor ropes her into being liaison for a new work program, 'tis the season to be wary. Local businesses are afraid the interns will be delinquents, punks, or worse. For Jill, nothing’s worse than Ted Hendricks--the jerk who runs the program. After a few run-ins, Jill’s ready to kill the guy. That, however, turns out to be unnecessary when she finds Ted in his car--dead as a doornail. Officer Greg assumes it’s a suicide. Jill thinks it’s murder. And if the holidays weren’t stressful enough, a spoiled blonde wants to sue the city for breaking her heel. Jill has to act fast to solve this mess--before the other shoe drops. . . I want you to meet my friend, Kait! I was born in New Jersey, lived in upstate NY, southern Florida, St. Thomas, Sint Maarten, Virginia, Maine, the Florida Keys, and now central Florida. Talk about a geographic spread. I ski and scuba dive, run and swim. My husband is a pilot and we own a Cherokee 6 that we love to fly on research and marketing trips. We share our home with eight rescued cats, a cockatoo, conure, and a harlequin macaw. That's the gang of eight - and wings too. You can visit her at http://www.kaitcarson.com/. And now hear what she has to say about life imitating art. Ernest Hemmingway said write what you know. Given the lives most of us lead, Ernest excluded of course, that would make for a boring book. I write mysteries. I’ve had my fair share of adventures. I’ve never found a dead body. My characters do all the time. They lay 120’ below the sea wrapped in an anchor line, hang in garages, and lurk in bathtubs. Write what I know, not really. Write what my characters know. Now that’s a different topic. My newest novel, DEATH BY BLUE WATER, released next week by Henery Press is the first book of a new series. It’s set in the Florida Keys and my heroine, Hayden Kent, is both a paralegal and a scuba diver. My day job—paralegal. My favorite hobby—scuba diving. Hayden and I are very different people. She is more methodical. Apt to make a list and check it twice. She’s also a lot more resourceful than I am. Whereas I’ll set out on a wing and a prayer, Hayden has a plan. Always. And she has a way better sense of humor. I’ve never found a body underwater. To write the book, I needed to know the processes of that, recovery techniques, and how to investigate an underwater death. I also needed to learn how Hayden works at her job and how she dives. Our different personalities make for different strengths and weaknesses. What I know about Hayden’s profession and her hobby are not at all the same as what she knows. 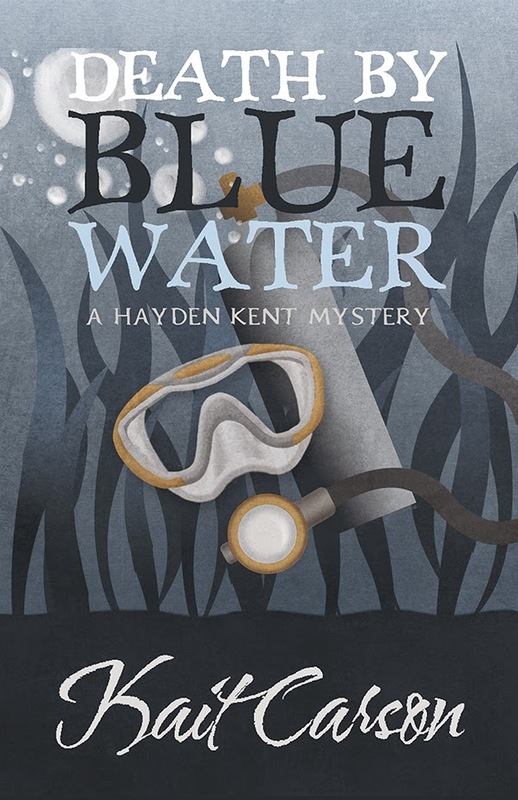 Hayden made it extremely clear that BLUE WATER was her story, and I was her typist. My first series features Catherine Swope. It’s set in and around Miami, FL. Catherine is a woman with a past she’s trying to overcome. Former cop, she quit the force after she shot a teenager. He was shooting at her. It was justifiable. Catherine couldn’t forgive herself though. And she ended up doing some heavy drinking to try to forget. 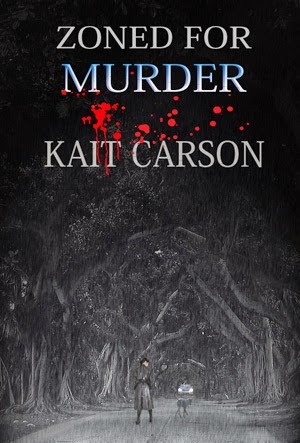 ZONED FOR MURDER starts when her life is getting back on track. She finds the Zoning Commissioner hanging in his garage. Circumstances and events lead to her being the prime suspect. go back to law enforcement. I was disappointed. 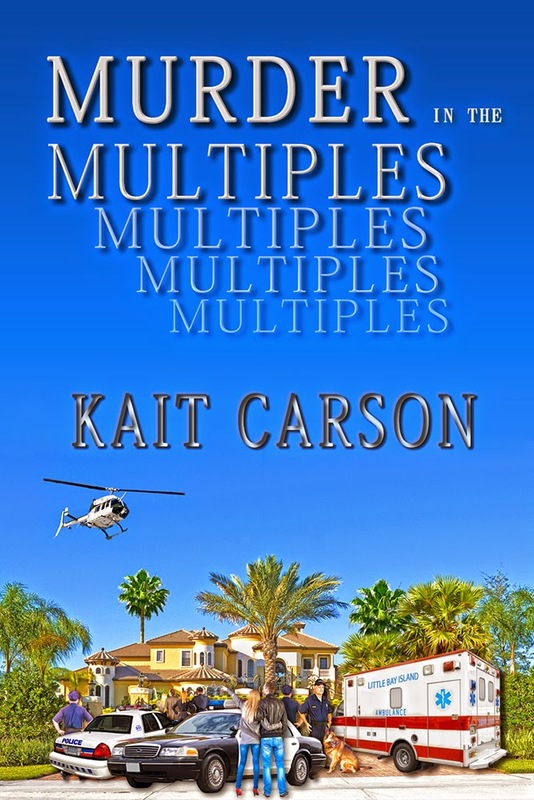 I wanted to write a police procedural. Catherine becomes a Realtor. Her first multimillion-dollar sale results in her finding the buyer dead in the bathtub on closing day. Drugs surround the buyer, and the evidence suggests the drugs were in the house. I’ve never been a cop, never shot anyone, and never had a drinking problem, never been a Realtor, and never been involved with illegal drugs. Hum. Write what I know. No. Write what I research. Yes. Ask endless questions of friends who are in law enforcement. Talk to counselors who treat cops after they are involved in shootings. Talk to Realtors. Read the research and statistics. Once I’ve done all I can, Catherine takes over. The knowledge is hers. The stories are hers. Write what you know – only if it’s an autobiography. Any writer who has tried to fit a character into a box will tell you, it doesn’t work. They fight back—and they win. To tell the truth, I kind of halfway believed that this day would never come. On 30 October my publishing blitz ended. Unless you’ve been living under a rock this summer, you probably have heard more than once that I’ve been doing a blitz of one book release (two new works, the rest re-releases of reverted backlist) every two weeks since 30 June. That’s a heck of a lot of books. And an insane schedule. Why would anyone do anything so utterly mad? Back in late May, when this idea first appeared, I had no idea of how much plain old work – and plain old money – would be involved. Each book was re-edited, re-formatted, given a wonderful new cover and released in both electronic and paper versions. Sounds deceptively simple, doesn’t it? It wasn’t. Without the most wonderful team in the world – scanner, editor, formatter and cover artist – behind me I never would have made it. No – without them I never would even have considered it! In May I did FAMILY OF STRANGERS, a tasty little classic gothic romance set in Victorian Scotland. It took several weeks to get it up and running, and it has done rather well. Deciding to do the rest, I jumped in with both feet, my normal way of doing something. Concentration has always been a problem with me, and after several weeks I had done something on every book, but not one was completely finished and ready for publication. Some of the older books were so old that no electronic version existed. Appalled at the thought of re-keying them, I had them scanned. My scanner Melynda Andrews is the best in the business, but inaccuracy is the nature of the beast no matter who does it. Age and texture of the paper, ink density, type font and the letters themselves all affect what is translated from paper to pixels, so each letter must be checked. For example, ‘his’ morphed into ‘liis’ and ‘rain’ into ‘min’ and so forth – but never with any degree of predictability. Some of the results were horrific, some were hysterical, but each had to be checked. It’s not the big errors that get you – it’s the little, almost invisible ones. On getting the scan back, I had to go through the manuscript almost pixel by pixel. Years ago during my magazine editing days I learned to proof by starting with the last word and going backward. That way I was seeing the words and letters themselves and not getting lost in the story. At least, it helped. After that tiring and sometimes hilarious chore, I started at the beginning and did the editing on the re-releases myself; the two new works went to my wonderful professional editor Laree Bryant, and then through a rigorous round of revisions. As the re-releases had already been edited by their respective publishing houses, I didn’t see a reason to submit them to my editor, but I went through them with a fine-tooth comb, tweaking and doing a little bit of rewriting. No book is ever really finished, you see. As long as we can get our hands on it, we can always find some little something that can be improved. Then there were the covers. It was by pure blind luck that I was fortunate enough to find Dawn Charles of BookGraphics, one of the best cover artists in the world, who worked tirelessly with me turning what I wanted, what was possible and what I could afford into an elegant cover. She also provided me with a huge banner proclaiming both my names – Janis Susan May for romance, Janis Patterson for mysteries – for when (if) I do signings, and created some positively fantastic bookmarks. Working with my wonderful formatter Vickie Taylor was the easiest thing. I had already gone through the manuscript, making it as clean as possible (studying those pixels again), taking out any extraneous spaces, returns, etc., and putting the various elements in the order I wanted them for both the electronic and paper editions – copyright page, dedication, other books available, by the author and all that. I would email the files to her and tell her which electronic distributors to program for and in a few days I would have individualized files for electronic and print that only required me to point-and-click to upload. Being a total techno-naif I love point and click! Yes, I know there are loads of authors who do this themselves. Joy go with them. There is nothing wrong with my brain-box (at least, I hope not) and I could learn do the formatting myself. After all, in the dark ages of computers I wrote a couple of decent COBOL programs. However – I am a believer that one should do what one does best and hire out the rest. It’s only good time management, besides saving my nerves. I frustrate very easily. Then a couple of days before official release day – so I would have links to hand out on release day – I would upload. First would be the print version at CreateSpace, because I wanted time to order a proof and still get the distributor buy links in time. Then, closer to The Day, I would upload to Amazon, BandN and Kobo myself. iBooks/Apple always went through Draft2Digital. While many people swear by them, I don’t like some of Apple’s practices, and Macs are too expensive for me to consider anyway. Sounds simple, doesn’t it? Basically it is, but it is both complex and time-consuming. And, believe it or not, this was the artistic part. There is also the business part. First I got a DBA for my publisher name. Forming an S corp or an LLC didn’t make financial sense at this point, but I did want the ability to cash any checks that might come in the company name. I copyrighted with the government those books which had not already been done. It’s the cheapest intellectual property insurance I know, and I advise every writer to do it. In addition, there was the acquisition, assigning and registration of ISBNs through Bowkers – and Heaven help you if you get two numbers mixed up! Each book had its own specific copyright release on the copyright page, because they need to state if, when and by whom the book had been published before. There were the individual dedications. Print and electronic versions each needed their own special order of contents. Front matter and back matter were different. Because I wanted to get them all done as quickly as possible so all I would have to do was upload (didn’t work, by the way – every release day was an edge-of-the-seat affair) I worked on a lot of books at once and got very confused. Finally I created a spreadsheet to keep me organized. One row for every book, one column for every action. At one time I had forty two columns. It’s come down a little since then, but it’s still an impressive amount of data. For a while I was so stressed I couldn’t sleep – I’d wake in the morning at some dreadfully early hour and, my mind churning with what had to be done, be unable to get back to sleep, so I’d get up and start work. By the way, writing is my only job, other than looking after The Husband, the animals, the house, the yard, some volunteer work and assorted family and friends. The Husband became accustomed to eating frozen things for dinner – mainly pizza – and we ate out or got takeaway more than ever before. Laundry became a hit-or-miss proposition. With three animals (two cats and a bossy little dog) we’ve always had a recurring crop of dust bunnies, but they took advantage of my concentration on the books to grow into aggressive dust hares until in self defense The Husband started wielding the vacuum cleaner. At night I was too tired even to read. Writing? Forget it. But now it is over. I’m glad I did it, because the books are done, and in self-publishing there is no worry about shelf life. For good, bad or indifferent, these stories will be out there forever, hopefully generating some income while I go on to the fun part of creating new books. I say hopefully because my MasterCard is still on life support. Speaking of money, I’ll admit to being disappointed that sales have been much lower than I dreamed – even lower than I expected. However, on my writers’ loops everyone has been saying that their sales are down as well, so I take faint comfort that I’m not the only one or that it’s not my books themselves being ignored. I’ve spent some money – more than I could afford, really – on advertising, but nowhere near enough to make a real difference. Still, as Scarlett said, tomorrow is another day, and we can only wait to see what it will bring. Have I given up on trad pubbing? Of course not. At this moment I am under contract to two traditional publishing houses and intend to continue with both. And, if one of the Big 5, or however many of them there are this week, comes waving a contract with a healthy advance attached just watch me jump. Do I intend to keep on self-publishing? Yes, most definitely. The freedom to do what I want, to tell the story I want without having some little editor girl forcefully ‘suggest’ that my heroine be a deep-sea diver instead of an insurance investigator or another editor that the story take place in the mountains of Montana instead of downtown Dallas. Even if such ‘suggestions’ would strengthen the story (which they most definitely would not have) I know nothing about deep sea diving and even less about Montana. My sense of outrage at such needless meddling was only exacerbated by the fact that I have shoes older than either one of those little editor girls! Now I can tell my stories with the voice I want. Of course, they will be professionally edited, etc. That’s a given. Not giving up on self-pubbing, however, does not mean I will put my husband, myself or my books through an insane blitz like this again. My future self-pub efforts will be done in a civilized manner, at a manageable speed of one, maybe two releases at a time. I’m too old for nonsense like this, but will certainly admit that this blitz taught me more about self-pubbing than I ever knew possible. I’m glad I did it, but now it is time to tell myself (in my execrable Latin) Dire, Faire, Taire – loosely translated, Say It, Do It, Shut Up. Reading the last couple of posts made me think a bit about my both settings and seasons. In my Tempe books, the seasons change in sort of chronological order--though not always. 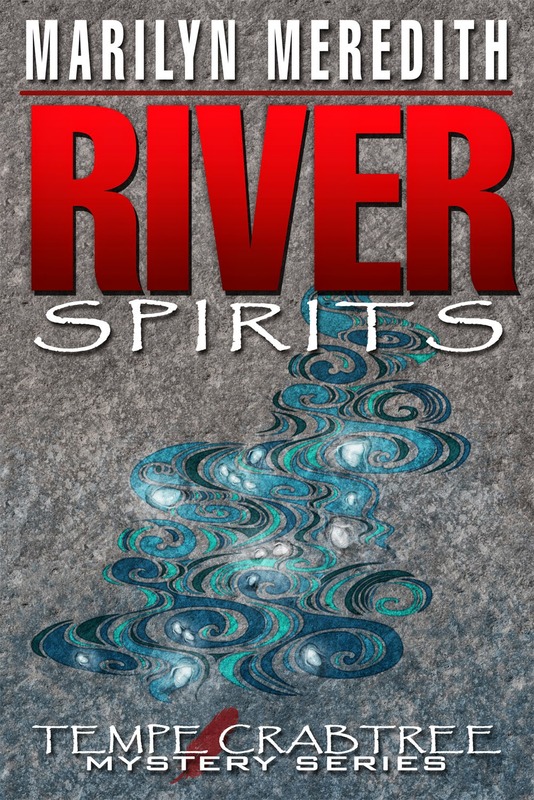 The latest, River Spirits happens in the fall. Almost all of the books take places over a very short period.. Lst years offering, Spirit Shapes, happened in the fall too. Though a year and a couple of months passed before the latest came out--in Tempe's time, it's just a matter of a few weeks. After all, if a year passed in Tempe's time, she'd be way to old to do the things she's done. When I first started writing about her, her son Blair was in his early teens. Over the years, he has graduated from college and is now working for the fire department in Morro Bay. In reality, Tempe is probably getting to a time when she might be considering retirement. As far as settings, most of this series has happened in and around the small town of Bear Creek which has some resemblance to the town near where I live. In River Spirits Tempe spend a lot of time on the Bear Creek Indian Reservation investigating a murder of an actor during the making of a movie. The reservation has many similarities to the Tule River Indian Reservation, the one near my home. 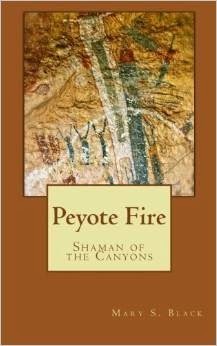 I've fictionalized both for various reasons--the main one being things change quickly in the real places. .
"Another Tempe adventure combining family life, spirituality, Native American issues and California beauty. These relatively gentle mysteries have captivated me since I discovered them. This is among my favorites." --D.Eisert.